A recent pair of dueling articles on CIMSEC sparked a firestorm of debate. The point of contention: does the Sea Shepherd Conservation Society’s (SSCS) fleet of whaler-chasing ships constituted a navy? The conversation was lively, informed, and freewheeling, bouncing from historical examples of British privateers to modern day terrorists in a bid to pin down a surprisingly elusive understanding of a navy’s central organizing principle. Interspersed throughout this debate is a conversation on legitimacy and how it relates to defining a navy. Legitimacy touches on nearly every component of the arguments put forth by both the Affirmative and Negative articles. It is my belief that the resolution to this debate lies, in large part, on how we interpret such a loaded word. When we are talking about legitimacy in the realm of politics and violence, the most fundamental question in international relations is who has the monopoly over the legitimate use of force (a la Max Weber). In the Westphalian system (which, despite news of its untimely demise, is still very much in force), only the state has the right to exercise violence. Legitimacy, violence, and the state are inexorably intertwined. And, as the Negative article points out, violence is truly at the center of this debate. Navies fight; an organization that is not coercive in nature could not even make the prima facie case for being a navy. As a consequence of this nearly 400 year old understanding of sovereign legitimacy, very few would argue that a non-state body has the legitimacy to exercise violence. Even the nations that allow Sea Shepherd to operate from their ports, as the Affirmative article notes does happen, would never permit the organization to roguishly harass, ram, or board ships in their territorial waters. In the more extreme instances where a state authorizes Sea Shepherd’s involvement in kinetic maritime security operations (as detailed in the comments by Captain Paul Watson, ostensibly the actual founder of Sea Shepherd), the very sanctioning of the use of violence by the state reinforces the argument that only the state has the authority to legitimately employ force. The associated argument that some states do not de jure recognize countries like Israel or Taiwan, and thus defining a navy need not be tied to a nation’s legitimacy, is creative but erroneous. Such a claim obfuscates the reality of their universal de facto recognition as sovereign states around the world, despite occasional political fictions maintained for domestic expediency. More to the point, legitimacy is granted as much (if not more) by domestic consent than external validation. Under this interpretation, we could more reasonably debate the merits of regarding something like Hezbollah’s maritime components as a Navy, since the group has some internal validity and some external recognition. Of course, labels like paramilitary or terrorist organization are more appropriate even in that instance, as the group’s position as a sub-state entity clearly invalidates the notion that it has a monopoly over the legitimate use of force. This question of legitimacy also bears on the historical point brought up by the Affirmative article of eighteenth century privateers. 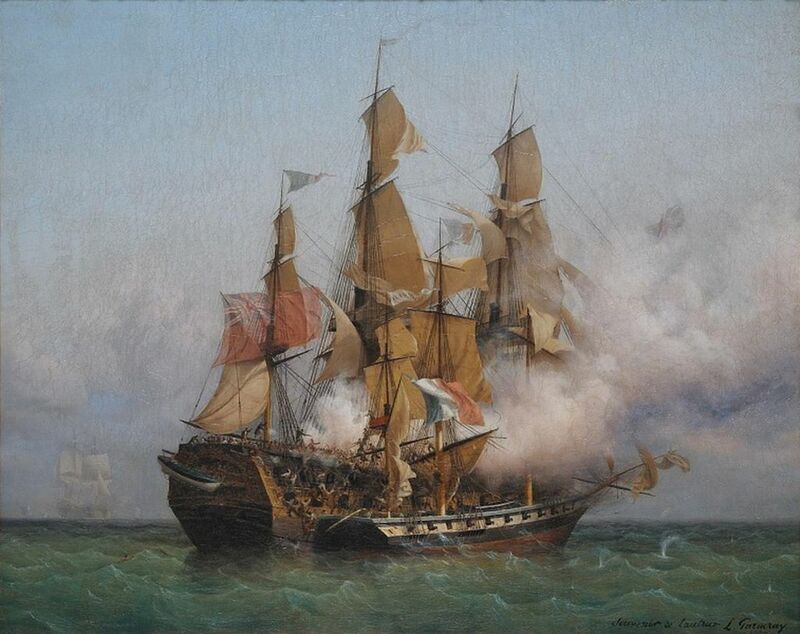 Putting aside that contemporary, professional navies would have been unlikely to regard licensed privateers as peers (despite the quite genuine might of the latter), the fundamental point that the sovereign granted letters of marque to deputize privateer fleets again underscores the notion that legitimacy for violence stems from the authority of the state. This last point informs an argument in the Negative article that a military is differentiated from non-state groups by the scale of the force it can exert. 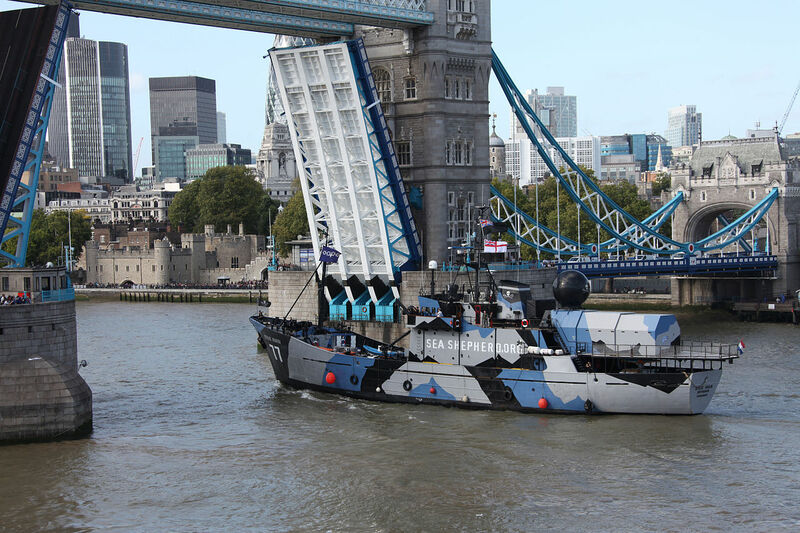 A navy, it argues, has warfighting capacity that exceeds the capability or intention of a non-state group like Sea Shepherd. Such an argument is semiotic, a way of understanding something through comparison to known others. The problem, however, is that a semiotic (and not theoretical) definition is vulnerable to false equivalencies. If a privateer fleet rivaled the local power of the Royal Navy, as some pirate bands did in the Golden Age of Piracy, a semiotic definition would backfire and elevate them to the status of a navy. Today, if a non-state actor (say a cartel) had the power to topple a small Caribbean nation, would the cartel be a military? Using the monopoly over the legitimate use of violence as our yardstick, the answer is clearly no. This approach negates the need entirely to define navies by their fighting capacity (something small states will be happy to hear). There are, of course, other important questions raised in this debate. Most centrally, why does a fleet have to be a navy? If we already have a word to describe a collection of ships, is it valuable to take a concept like navy (however nebulous, at least you ‘know it when you see it’) and widen its use so far you risk entirely deflating it? The answer may well be yes, but it needs defending. Lexicons, even if somewhat amorphous, have inherent value. The Affirmative’s argument about a post ­Westphalian system is an admirable attempt to define the need for that new lexicon, though one I find highly premature (and I staked a dissertation on elevating the significance of non­state actors). The problem, here, with either of these two most common definitions (legal or de facto) is that Sea Shepherd clearly employs coercion or force for political ends, not personal or private ends. Political ends are not a component of these definitions. One option, of course, is to argue that there exists an even greater need for a change in the lexicon on piracy than on navies. Pirates the world over operate for a mixture of both private economic and broader political objectives. Pirates off Nigeria steal oil not only for financial gain, but to help fund political agendas as well (piracy typically peaks near elections in Nigeria). Pirates in Somalia hijack ships for astounding ransoms. They also cloak themselves in narratives of defending territorial waters against the predations of multinationals depleting fishing stocks and dumping toxic chemicals. Even the privateers of old, who often morphed into pirates themselves, attempted to form politically independent units in the Bahamas or Madagascar and fought in part to defend this short lived independence from the British or French monarchies. Jacobite-leaning pirates in the Caribbean even considered trying to help reinstate the Stuart line. Instead of revolutionizing the use of the term navy, therefore, might we instead simply apply the term piracy as it conforms to its historical character, inclusive of both private and political ends? 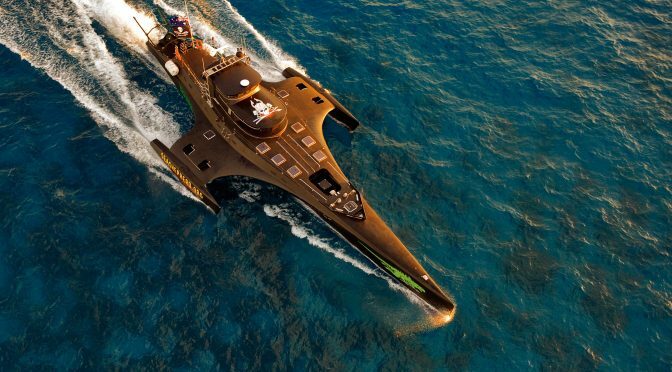 Without commenting on the ethics of Sea Shepherd, the organization’s coercive actions are clearly illegitimate in the current international system. Consequently, Sea Shepherd might fit far better into an updated definition of piracy than of navy. Such a definition, which conforms to piracy as it has been practiced for centuries, recognizes not only the pursuit of private wealth, but also the role of pirates’ political agendas—even if those pirates are fighting for ocean conservation. Joshua Tallis is a Research Analyst at CNA Corporation, a nonprofit research and analysis organization located in Arlington, VA. He completed his PhD in International Relations at the University of St Andrews’ Centre for the Study of Terrorism and Political Violence. The views and opinions in this article are his own and do not necessarily represent the position of his employer. I would label them as a Maritime Terrorist organization and as such they should be hounded, captured or sunk. Humm,…they are representing an international interest in exposing Japan’s abusive use of it whaling for “research” purposes and can be said to intercede on behalf of the world’s interests (much like a whistleblower)? Sounds like they are the United Nations’ navy to me! This is an interesting article; but the truth of the author’s position will not be known until there has been a court conviction or a decision under the law. In the meantime it seems that both Sea Shepherd and Greenpeace are taking action where state actors refuse or are incapable of taking actions that limit illegal actions that include illegal whaling, overfishing, gross pollution, and a host of other operations which are destroying the planet, robbing indeginous people of food now and in the future, and destroying the livelihoods for those making their way at sea. Piracy–I don’t agree. The Institute for Cetacean Research (ICR) took Sea Shepherd to court in the US on grounds of Piracy. The case was dismissed on the grounds that SS were not pursuing ‘private ends’. Further down the legal timeline (25th Feb 2013) the case eventually reached the US Court of Appeals where Judge Kozinski ruled that Sea Shepherd were pursuing ‘private ends’ and were, therefore, pirates. His reasoning is worth reading. (US Court of Appeals DC Circuit Case No. 12-3056). The case, however, is still going through further appeals as far as I’m aware. The reasoning of this article regarding political ends is inherently flawed. It conflates the actions of some historical pirates with the concept of piracy. The fact that a person is a pirate doesn’t mean that all the acts that person makes are acts of piracy. The fact that some pirates considered acting for political ends or have some political justification for their otherwise private-gain motivated actions doesn’t make political ends an alternative cause for piracy, just as it doesn’t turn them into politicians. People, including pirates, are multifaceted. I think they are fighting for a good cause, but in the wrong way as they have sunk ships and killed people who are just doing their job. I support the cause but don’t support the murder of people trying to make a living.